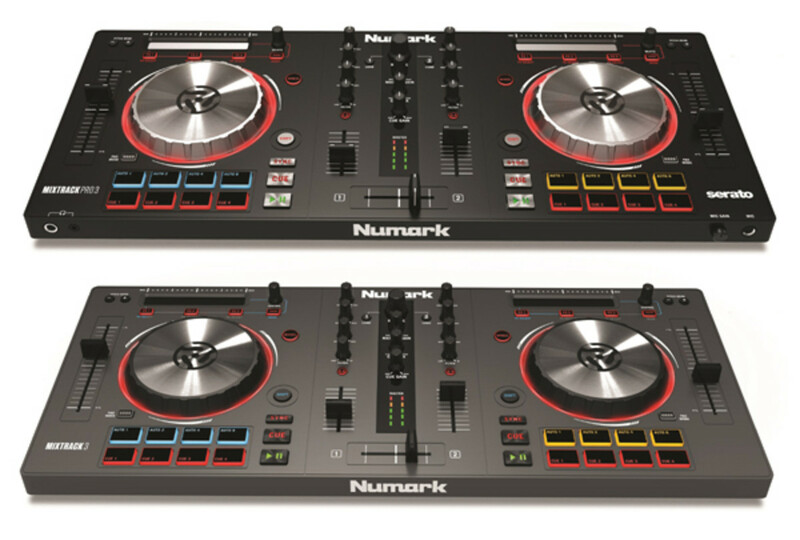 At today&apos;s NAMM 2015 show, Numark is unleashing a slew of new products. 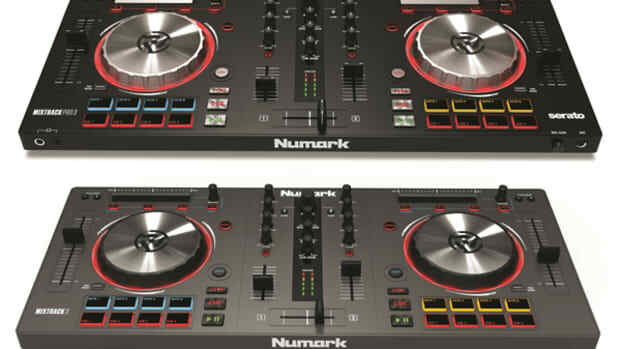 The first product release of the day is the Numark Mixtrack III & Mixtrack Pro III entry-level DJ Intro controllers. The new versions of the Mixtrack have a new streamlined and simple layout. The new Mixtrack III&apos;s have taller and higher resolution jog wheels, large 100mm pitch sliders, and a touch-sensitive strip above the jog wheels for effects and track scrolling/searching. 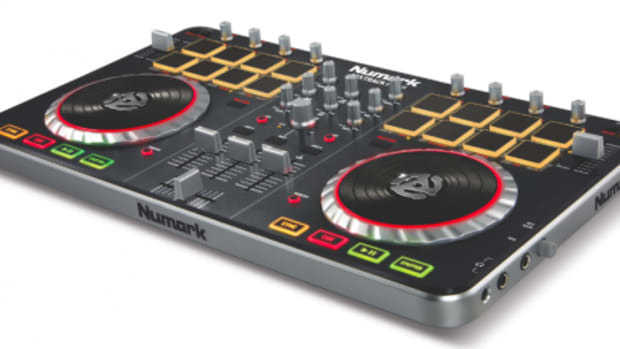 The Numark Mixtrack III does not have an internal DJ soundcard and it will come bundled with Virtual DJ 8 LE for $199. The Numark Mixtrack Pro III has an internal DJ soundcard with headphone and RCA outputs and it will come bundled with Serato DJ Intro for $299. Aside from the upgraded features listed above, the functionality of the Mixtrack III is largely unchanged from the Mixtrack Pro II that we reviewed a while back. This new refresh goes along with the styling and feel of the new Numark NS7 III that was also announced at today&apos;s NAMM 2015 show. Check out the full press release and site links below for more information on the new Mixtrack III controllers and stay tuned for more NAMM 2015 Coverage!